Where is Bob? : What a great Truck !! Love the Passion... Go Grand Rapids, Go BIGGBY!! What a great Truck !! 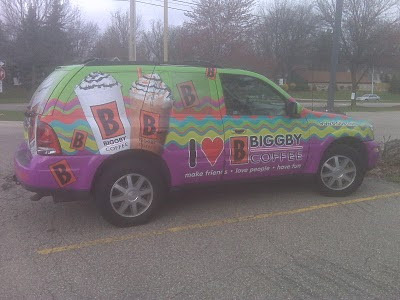 Love the Passion... Go Grand Rapids, Go BIGGBY!! This is FABULOUS! Makes me feel happy and I smile when I see it! 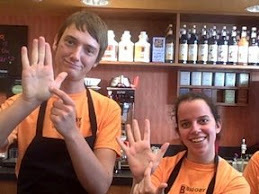 Way to capture that BIGGBY happiness in a way that affects people every day!! Yeow! 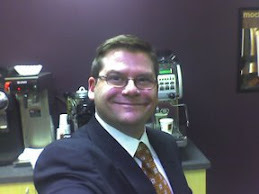 I bet the neighborhood association where this guy lives is having a fit. Imagine that baby parked in the driveway next door. There go the property values! What are you talkin' about, HalfBaked? That truck is frickin' awesome! Totally fun!